Taking up the challenge of dry January has grown in popularity over the past decade. The idea behind the movement is to give up alcohol for an entire month with some seeing it purely as a way to challenge themselves or raise money for a cause, but most do not take it as seriously as they perhaps could. Dry January can be light-hearted to those who venture out and drink alcohol once or twice a week, but the campaign also affects those who choose to drink a high volume of alcohol on a daily basis. Dry January has become a yearly tradition for many, whether it be a New Years’ Resolution or a chance to change themselves for the better. The holiday period can lead to high levels of drinking but many do not recognise the deteriorating effect such behaviour can have on their health. The majority of people choose to share their struggles from going alcohol-free for a month, but for some, the struggle comes from not drinking on a daily basis. Some do not have the choice to try dry January or not due to their addiction and dependency on alcohol to function in everyday life and many do not even realise they are addicted, they just see it as a social norm what with the glamorisation of alcohol as a whole in the worldwide media. Excessive drinking, or “binge drinking”, has many negative effects on a person’s health. Some of these health effects can include weight gain, elevated blood pressure and high levels of cholesterol. Alcohol addiction can also affect your sleeping pattern and increase the risk of diseases such as heart disease, strokes, liver problems and breast cancer. Simply taking a one-month break from alcohol will not drastically reverse your body clock, it also does not make it acceptable to drink more for the rest of the year. The immediate effects of alcohol are well known to most. Within 24-hours of drinking, you are prone to suffer from a hangover and moderate drinking increases the risk of sweats, tremors and in some severe cases, seizures. Removing alcohol will stabilize your blood pressure as well as allowing you to be much more clear headed and less depressed and within a week, your sleeping pattern will have improved. Alcohol is detrimental to your sleep too and encourages you to sleep restlessly. After a fortnight, your stomach lining will have strengthened. Excessive drinking can lead to symptoms such as acid reflux and you may also notice that you start to lose weight. There are many hidden calories inside alcohol which are not made immediately obvious to the drinker. Drinking a large glass of wine can add upwards of 230 calories to your meal, so drinking two glasses a day can cause you to gain as many calories as eating an extra meal would bring. These are also empty calories which bring no trace of nutrients or positive vitamins with them. Drinking too much alcohol raises your blood pressure over time and high level of calories present in alcohol cause you gain weight, which will increase your blood pressure over time. Quitting alcohol will see your blood pressure stabilise after 3-4 weeks and within a month of quitting alcohol, your skin will look visibly better as well. Drinking excessively can actually cause your skin to age at an accelerated rate, so eliminating alcohol from your daily diet can prevent the premature ageing of your skin. After a month of not drinking, your liver will start to improve. High levels of alcohol consumption cause it to become inflamed, which causes alcoholic hepatitis, which cannot be felt initially but can lead to more serious diseases such as cirrhosis over time, which is permanent. Drinking a large amount of alcohol can cause your liver to convert glucose into fat, but your liver can start shedding all the excess fat caused by drinking when you choose to cut alcohol out of your diet. After three months without alcohol, you will notice a drastic change in your health. Heavy drinking causes your blood cells to become larger, making you become more lethargic due to the fact your cells are unable to transport oxygen efficiently throughout your body. After giving up alcohol, your blood cells will begin to renew themselves within three months and will allow you to feel a lot more active. The positive effects alcohol rejection can have on your body are all very favourable. 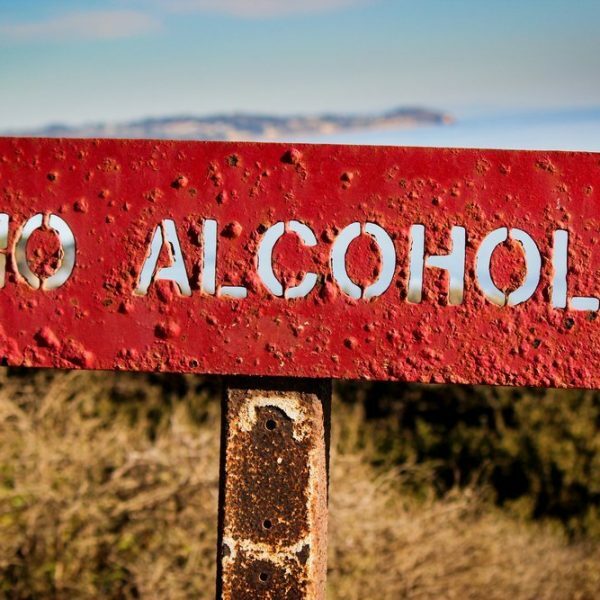 Addiction is hard to admit and can be embarrassing, but when you look at the long-term benefits going without alcohol can bring to you, the admission should become more clear. Confirming to yourself that you are addicted and do need help is the first step towards your recovery and we here at Step 1 Recovery are here to help you along the journey towards making yourself a better person. Find out how we can help here.